Horsham Fence Contractors provides local home and business owners with the highest quality garden and paddock fencing and installation work. We aim to give you the best personalised service and access to affordable fencing services, as well as helping you plan your fencing project. Whether you’re looking to install traditional wooden fencing panels, garden gates and posts, or more ornamental fencing with or without trellis or rail, we can supply and fit it all. Wood fences have always been popular and modern manufacturing methods ensure there’s a wide range of designs and styles to choose from and we’re happy to supply and install any type of fencing. Your perfect fence should fulfil your practical requirements, be durable and look great! There’s nothing like a wood fence to give a natural look to your property, whether you choose a traditional finish or a colour that complements your house. Perhaps you’d like a white picket fence or something more contemporary. Or you might like to go really wild and bring a whole new look to your garden. When you're looking for a luxury feel for your property, there's little to beat a Western Red Cedar fence. Wooden fence panels are an economical and simple way of building a fence and generally faster to erect than closeboard. We supply and build a lot of panel fences, either with wood posts or with the increasing popular concrete posts and gravel boards. The advantage of concrete gravel boards is that your fence panels are kept away from the soil and undergrowth, keeping the wood dryer. This helps to prevent rot. The same can be said for concrete posts, which can’t rot at the bottom. Even when treated, any wooden post will eventually where it’s in the ground since it will be continually damp. It’s often the case that posts rot well before the panels, so concrete posts can increase the life of your fence and minimise maintenance. When you do need fence maintenance, we are always at hand with our fence repair service to keep your boundaries safe and your garden beautiful. Panels come in a variety of designs, from simple to complex, so you can choose a style that suits your property and your taste. Some are perfect for maximum privacy and security, and helping to dampen down the sound of noisy roads, whilst others bring a decorative touch to your garden. 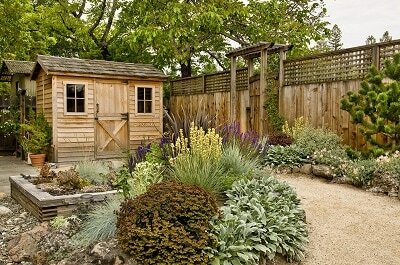 As well as fencing your garden boundary, consider using fence panels to hide less attractive areas of your land. Perhaps you want to conceal wheelie bins or your compost heap or perhaps you just need a screening fence to divide up different areas. Wood fences are versatile and provide the opportunity to dress your garden and individualise your open spaces. Add feeders or screw on a nesting box to bring birds into the area, or paint sections in different colours to add an arty touch. How about installing a mirror in a dark corner to bring more light and trick the eye into seeing an expanded view. Wooden fences are an environmentally friendly option for your boundary. Wooden gates can be classic designs, contemporary, traditional – only limited by your imagination. A boundary garden gate may need to be solid to offer privacy and security, but an internal gate could be much more ornamental and imaginative. Choose your gate to match or complement your fence – tall, short, narrow or wide – there are a multitude of choices. When it comes to garden gate installation, it's important to hang the gate correctly so that the gate shuts properly! 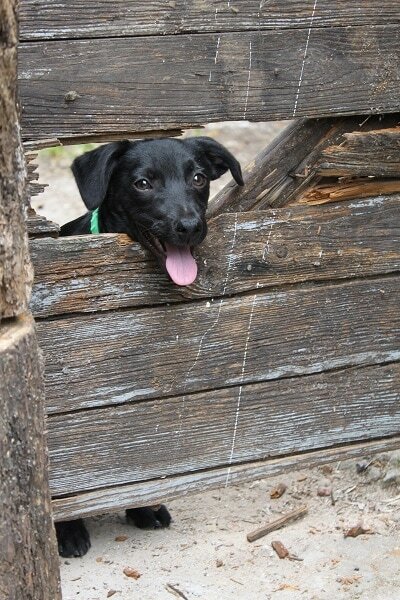 You can trust us to do a great job of installing your gates. Whatever your requirements, our expert fencers at Horsham Fence Contractors are willing and able to give free advice at any time. And of course we’ll give you a free quote for the work. We do fence repairs and replacement!